How Far Can IA Reach? 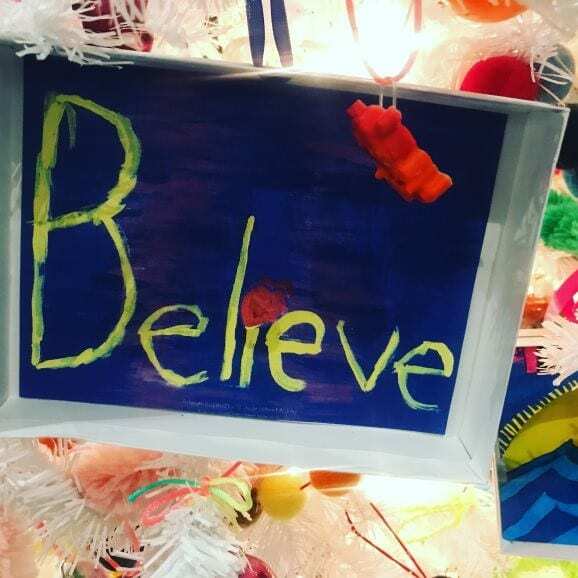 The spirit of community service is captured by the artwork of a St. Jude’s patient on an IA designed holiday tree in the lobby of the St. Jude Building in Midtown Manhattan. 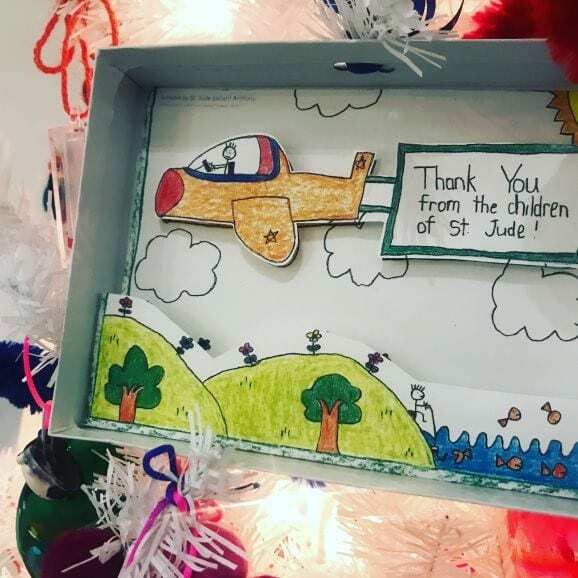 During the holiday season we naturally think of giving, not just to our friends and family but giving-back to the community and the non-profit agendas that we support. But beyond the monetary value of our time or contributions, giving also benefits the giver in unexpected ways. For most of us who spend hours every day staring at a screen, volunteer work can be a great way to connect face-to-face and interact with colleagues, clients, the community, or even communities in other countries. And there is a wellness factor; research shows that strong social connections are linked to lower rates of anxiety and depression, a more resilient immune system, and higher self-esteem. Giving back to the community through volunteer work has been a part of IA Interior Architects’ culture for years. As an architecture and design firm, we are focused on creating inspiring and innovative spaces. Expert in anticipating and meeting client’s needs through the built environment, we know that our work significantly shapes the human experience and that allows us a special connection to the community. 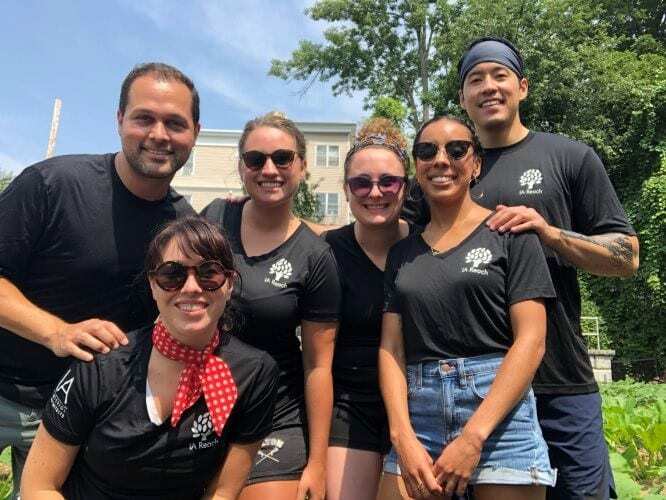 As a global firm we’ve grown—21 offices with more to come—and our will to reach out and volunteer has strengthened, bolstered by a passion and drive for community service brought to the firm by the young talent joining our ranks. For instance, two years ago, Boston Designer Mallory Schoendorf suggested we bring all our volunteer and philanthropic efforts under one umbrella to emphasize our philosophy and unified way of working as OneIA. The concept was enthusiastically adopted, branded, and dubbed IA Reach, with signature t-shirts issued to all staff, proudly donned for volunteer engagements. In Seattle, an IA Reach team makes snowy jars with children at a We Care event. The children worked with a wide variety of jars, craft supplies, and holiday decorations. A monthly committee meeting across all offices was established for information and idea sharing. Each IA office would continue to manage its own plan for local community service, and a search for a company-wide initiative was begun. To that end, IA is currently engaged with United Way, whose global platform allows full participation by all of our US offices as well as London and Toronto. This year, the volunteer calendar was packed with firm-wide and local projects. From IA’s Boston office, volunteers at an urban farm pose for a picture. Literacy kits for children in need, an effort in conjunction with United Way, had every office donating new or pristine copies of their favorite children’s books and packing them into bags and backpacks along with other items (crayons, pencils, and more) to inspire young recipients’ creativity. 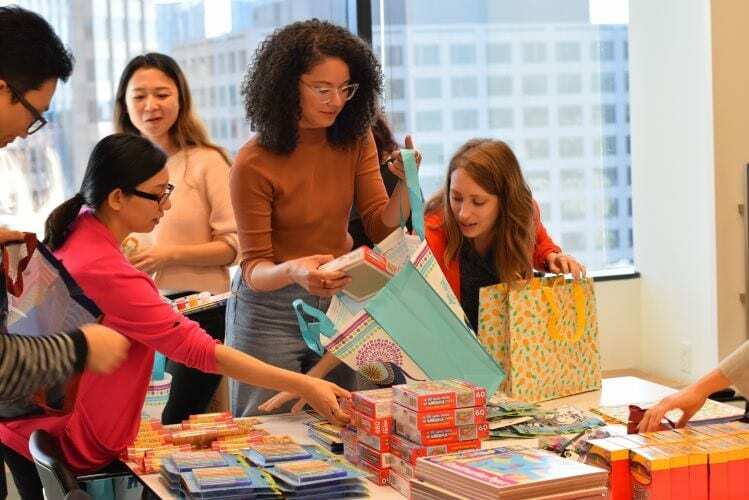 In Los Angeles, IA staff packs literacy kits for children. In the fall, IA offices collected donations and hosted fun events, including a game night with vendors, a back to the 80s party, and even a yoga class, to raise money for United Way. With all proceeds matched by corporate, IA was able to present a check to United Way for $100,000. 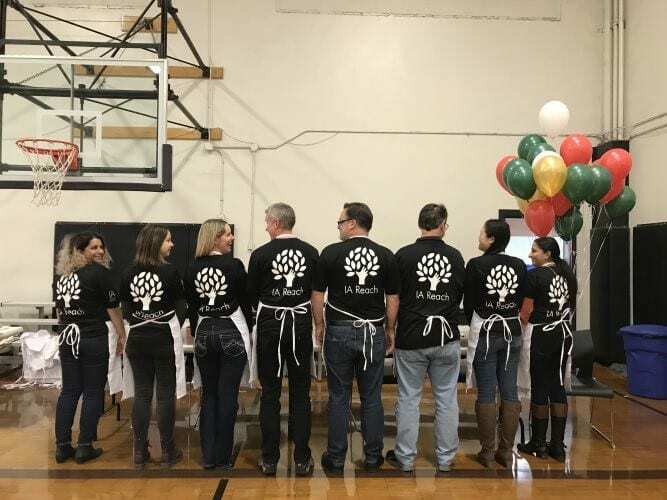 And at the local level, IA staff continued to volunteer in the community at food banks, We Care events, environmental programs, urban farms serving local shelters, and a variety of events throughout the year. 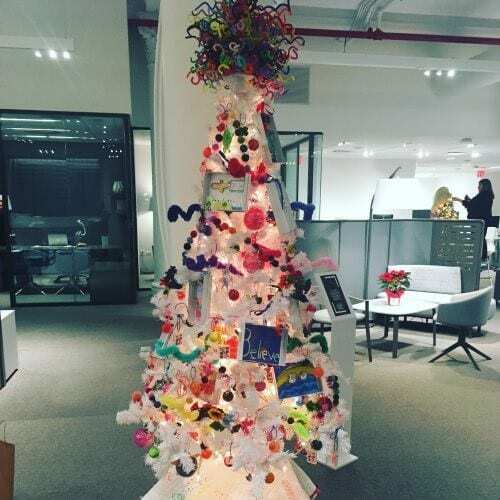 In New York, at the Teknion Festival of Trees, the IA team entry won Best of Show and raised funds for St. Jude’s. But artwork created by children at St. Jude’s and used in the decorations stole the show. The winning tree is now on display in the lobby of St. Jude’s building in Midtown Manhattan. During the holiday season our opportunities for community service increase with joy and celebration. 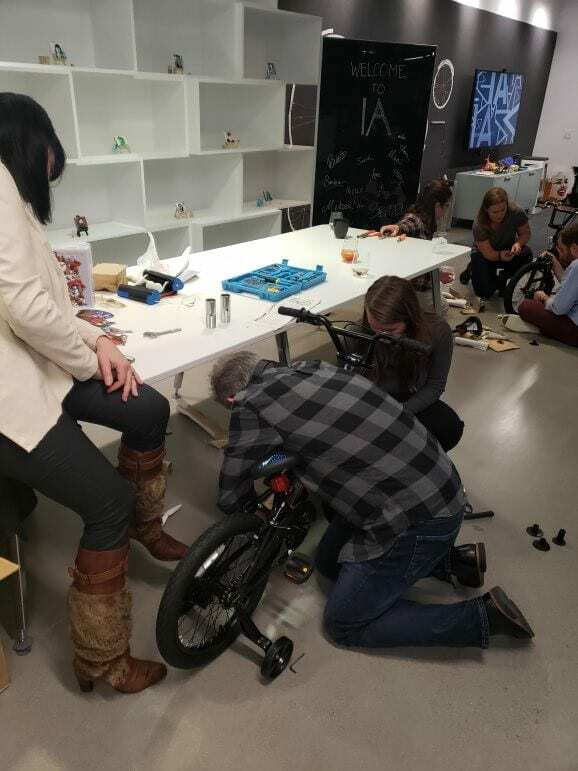 In Portland, how many architects and designers does it take to assemble bikes for a local holiday toy drive? Details and a test drive are always important. Sometimes an effort is extraordinary and closer to home. When a young designer with our Washington, DC office experienced a catastrophic and life altering accident, her peers sprang to action, gathering donations company-wide, capped by an auction with clients and vendors, culminating in over $46,000 dollars to assist with her on-going care. “The passion of the IA family resulted in an event that exceeded everyone’s expectations. 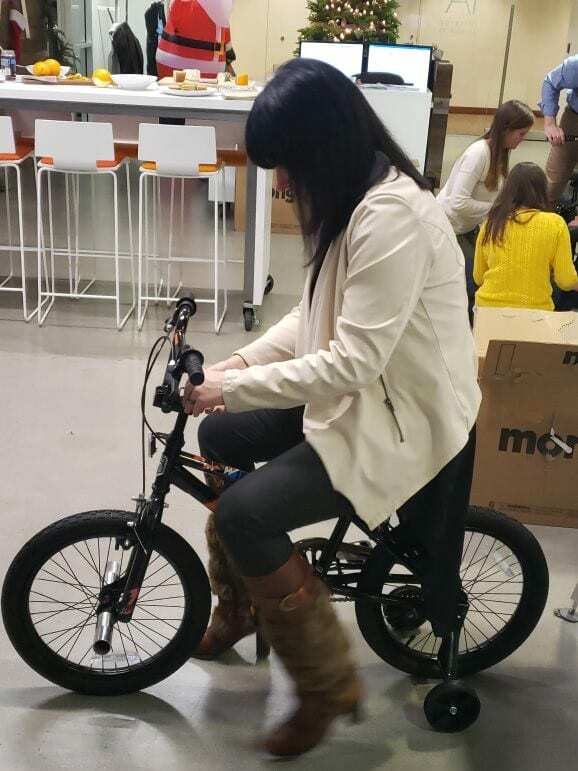 Not only did we support our friend and colleague, we came together with colleagues across IA offices, the DC corporate real estate community, clients, consultants, friends, and family,” says IA Designer Esther Nunes. IA’s spirit of giving back includes a commitment to the future of interior architecture and design. The International Interior Design Association, (IIDA), is the commercial association that supports interior design professionals, industry affiliates, educators, students, firms, and their clients through a network of over 15,000 members across 58 countries. The IIDA Foundation’s IA Interior Architects Diversity in Design Scholarship program, established by IA’s initial $50,000 donation, promotes diversity in design, which we believe is paramount to making the industry more inclusive and innovative. In this the inaugural year of IA’s five-year commitment, the first awards ranging from $500 to $5000 in financial aid were recently made to six students. Their winning essays on the topic of the world of design seen through different lenses and how diversity and innovation are interrelated earned our attention and respect. Though the year may be ending, our efforts and our fulfillment through volunteer work and giving will continue to grow as we strive to create a brighter future for those we aspire to help, those we work with, and our industry. Want to Learn More About IA Philanthropic Efforts? Our IA Reach program recently culminated in a check presentation to the United Way. 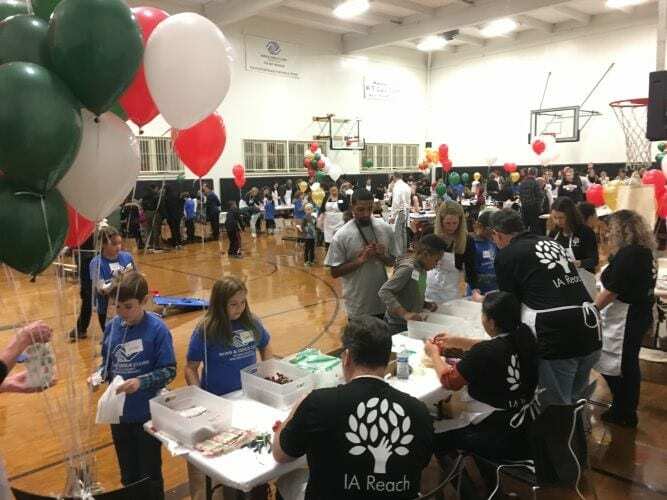 Learn about our IA Reach program and our partners at the United Way.